> Saints midfield missing, anyone seen them? Saints continued to struggle with the mental toughness and confidence as a more organized and confident Spurs side took advantage of a handful of brain lapse defensive mistakes to take a 2-0 lead they never surrendered. The game started much like many have this season with Saints galloping out of the box at a frantic pace. Tottenham looked to be inviting the pressure and allowing space on the wings. I gather their research also showed that while we can put lots of crosses into the box, there’s very little guarantee they will connect with anyone. Immediately notice a new life in Clasie, looks mean and nippy getting after it. Gazza with a solid stop on the only real Spurs chance early. Beginning to wonder if Steklesauras is even actually hurt or RK is just protecting his ego. 25 minutes in and it’s clear that Tottenham are more confident in defence and attack. Again and again Tottenham are letting Saints get forward, then when that final ball (where have we heard that before? ), or poor connecting pass inevitably takes a bad bounce or mishit, Spurs are quick to counter. Erikson and Dembele especially look to be spring loaded when possession shifts. Still seem to be getting smooth calmness from Clasie and Big Vic but wonder if this has more to do with Spurs lack of pressure than their composure under fire. Tadić looks to be far too much for Walker to handle, but typical Saints in poor form can’t seem to connect the final ball. Best chance of the game falls to Mané’s feet and he doesn’t quite do enough with it. Another theme of this poor run of form has been the all or none shot on goal mentality (i.e. let’s boot the crap out of it so it flies over the crossbar or let’s not pick out a sharp enough spot to beat a keeper with Lloris’s quality). It’s becoming increasingly clear that when we dominate early and fail to get a goal once our energy drops our whole team sort of deflates. This has nothing to do with player quality on the field. We should be playing organised and with heart, I feel this team is really lacking the heart, that undeterminable factor that leads to better lucky bounces and winning more 50/50 balls. Smart decisions by Lloris. Purposefully stalling the game a bit to upset the Saints composure and organisation. It seems to work as a couple of well placed stalls with the ball before goal kicks seem to get under the skin of the Saints attackers, but with only intimations from the Ref to hurry up and no punishment it works well. 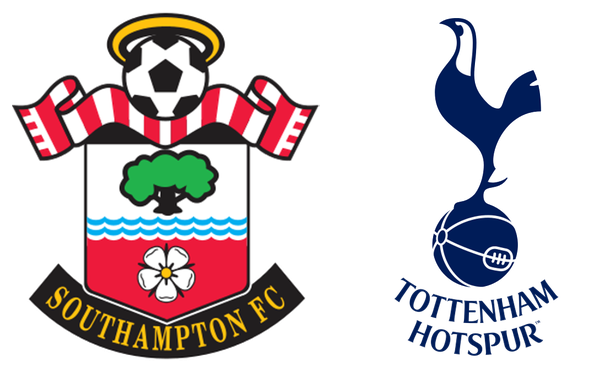 Tottenham respond more focused and relaxed and Saints are letting their own pace spin them out. No surprise around 35 minutes, Saints are looking gassed. Bertrand, Tadić, and Davis are all looking a step slower and we clearly ease off the gas. Tottenham sees this as an opportunity and the flow dramatically shifts to Saints doing more defending as Spurs press up the pitch a bit more. I wonder why we never employ this strategy? Right now our first halves tend to go 20-30 minutes of break neck pace, followed by 10 minutes of stalling, then try to end with pace the last five of the half. This is a very dangerous policy as we’re basically inviting opponents to pressure us when we’re tired. I wonder if it wouldn’t make sense to start hot and throttle back sooner so we can then end with the amount of pressure we prefer, rather than limp to halftime. In the span of 3 minutes (almost as if on cue) the entire defensive decision making collapses. Kane did well to weave his way through numerous desperate attempts at tackles and one absolutely limp-wristed half trip attempt by Virgil. Speaking of Virgil, he’s seemed frustrated at times this season. When it’s going his way he’s got a swagger, but if he’s pressed and not feeling sharp, he gets angry with himself and I think that’s where we see the poor focus and attempts. The half hearted tackle on Kane was indicative of a general lack of nastiness this team has severely lost since Morgan moved on (see also Big Vic being pushed off the ball like he’s a fat kid in u10s). Then we’re panicked. It’s like we’re mad at fate for not rewarding our efforts, then just pack all our class up for the rest of the half. The second goal started with a horrible turnover and then more poor decision-making, positioning, and response. There’s no reason that cross should get delivered. Press the ballcarrier faster and mark the far post stronger. I think Ron might lose his mind if we keep playing like this and he runs out his contract. 2nd half starts a bit more relaxed, a few times I’ve noticed Davis kick the ball and it just doesn’t have the weight it needs on it. Subs of Juanmi 'n Long do little. Was hoping to see JWP come on for BV and shift into a more attacking form. But alas we have to wait 'til later for JWP to come on. See some better chances but far less pressure from Saints. Tottenham up 2 and are content to play the game up a bit slower and force us to beat them (something we saw again and again from teams last season and we showed again and again that we weren’t up to the challenge). I had a sick 4 year old on my lap for the last 20 minutes so I was somewhat distracted, but I don’t think much was missed. Much like the last match Saints play frantic for the first 25 and the last 5-10, our best chance coming off the foot of JWP, but Lloris makes a great save to keep us from making a game of it at the end. I still disagree about getting Romeu in, he’s just too fricking slow for me. But I would really like to see us move Big Vic as he is a poor fit in a system that needs the CDM to actually connect the ball forward. It’s time to let BV split time off the bench and let Clasie sit back and let JWP and Davis rotate going forward. Mané didn’t make the big mistake this week, but he also didn’t make the fantastic finish. A few more games like this and we’ll be safe from anyone trying to nick him or BV over January. All of this disappointing result being said. I have faith in this team. I think learning to play our way effectively has been a tough adjustment for some of the new acquisitions, but I think last year we peaked early due to a run of very good form and a string of opposition that we snuck up on. Since we’ve been found out (prior to Christmas last year) we’ve had very little success. Personally I think it’s time to switch back to OUR style of 4-3-3 and just stick to it come hell or high water. But it’s ultimately not about form or shape, it’s about heart, commitment, trust, and confidence. As it stands we’re too easy to defeat. Mark off Pellè, invite pressure from the wings, wait for the fullbacks to get forward, then after the poor final ball attack on the counter. We still need more goalscorers as well. We saw last season, and this season even, that when we got big goals from players not named Graziano or Sadio we were more likely to win. Unfortunately, Clyne was good for a couple of big booms a season and BV has yet to replicate any real scoring threat. Pair that with uncertainty, fear, doubt, and a lack of trust amongst your teammates and this club is in for a tough run. I don’t think we’re going to a relegation battle, but if our mental toughness and confidence isn’t sorted out by the end of the Christmas gauntlet we could be staring down the barrel of the relegation gun.